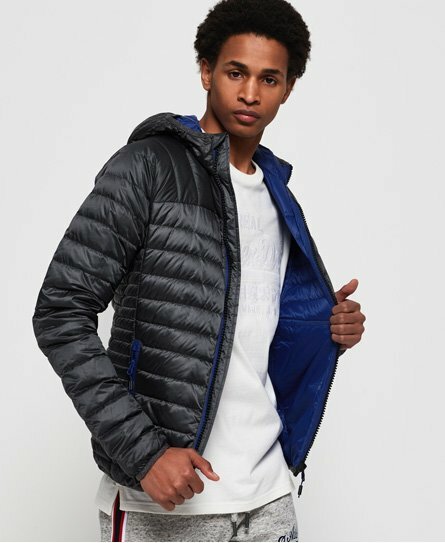 Superdry men's Chromatic core down jacket. This jacket has been made with a 90/10 premium duck down filling and a medium power fill rating, providing excellent insulation. This lightweight jacket features a main zip fastening, two front zip fastened pockets, two inside open pockets and a hood. Finished with a rubber Superdry logo on the sleeve.